When it comes to organizing your home, the Birchcrest shoe storage bench doesn't sacrifice function or aesthetic. Mission-inspired traditional style bathes in clean white, perfect for working this mudroom bench into various spaces within your home. 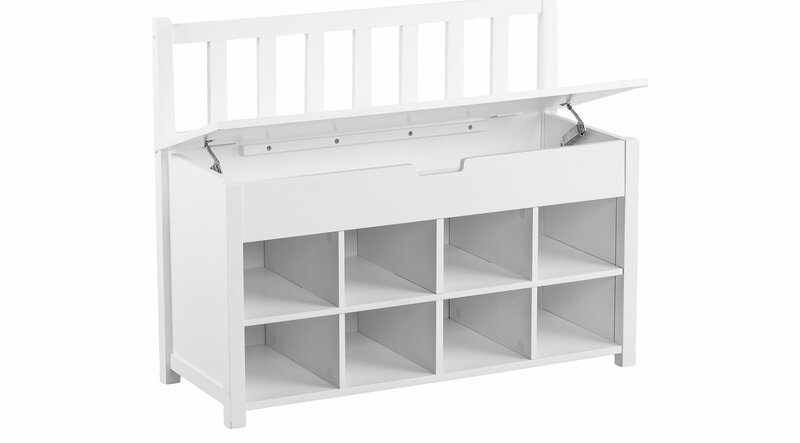 Find a place for everything with eight shoe cubbies and under-the-seat storage. Have a seat and take a rest knowing you're one step closer to organizational bliss with this lift-top bench in your entryway or mudroom.